More than 6,000 cities are turning garbage disposal into dollars through pay-as-you-throw (PAYT), a solid waste collection program that promotes environmental benefits and economic savings. Often municipal solid waste (MSW) collection is perceived as a free service by residents, as the costs are covered by property taxes or flat monthly or quarterly fees. Thus, no matter how much or how little residents recycle, compost or reduce their weekly waste, they incur no financial consequence. Similar to the way utilities charge their customers for water and electricity, PAYT charges residents based on the number or size of trash containers discarded. As a result, cities are able to generate a relatively stable funding source, as well as increase recycling rates and reduce landfill costs. Connecting residents’ disposal choices to their wallets is the centerpiece of PAYT programs, but the widespread success of PAYT is rooted in its flexibility. With PAYT, administrators can analyze their municipality’s needs based on its unique circumstances and construct a PAYT system most advantageous to the city. By selecting from key features — tag or container type (bag or can), pick-up schedules, accounting systems and rate design — planners can tailor a PAYT program that matches their community’s goals and needs. No two PAYT communities are alike. For example, in 1997, residents in Mount Vernon, Iowa, a suburban college town of 3,700 residents, saved an average of $47 per household compared to the preceding year — savings of $46,000 for the city’s 980 households. The city also estimates that, over five years, the average household reduced the amount of landfilled trash by 40 percent. Keeping its system simple was one of Mount Vernon’s goals. The city opted to use a tag program. Residents purchase tags for $2 each at either city hall or a local retail store. The tag is placed on the bag or container and allows residents to dispose of 30 gallons of waste. In addition to the cost of the tags, Mount Vernon residents also receive an $8 monthly waste bill, which helps offset the cost of the city’s recycling program. By using a variable rate for garbage and a fixed rate for recycling collection, residents are encouraged to discard less and recycle more. Simplicity was not an option for San Jose, Calif., because it serves 186,000 households. The city uses four sizes of cans with prices based on the cart’s size. The program also offers residents an extensive, free recycling program. Under PAYT, San Jose has reduced MSW costs by $4 million per year using private contractors. Additionally, the city more than doubled its amount of collected yard trimmings and recyclables. PAYT has a proven record of success in a variety of cities, but each has faced challenges. For example, Dover, N.H., found that the most common and difficult obstacle in changing its MSW program was the resistance from some of its 26,000 residents who had grown accustomed to the myth of garbage collection being a “free” service. In 1991, Dover debated PAYT in three meetings, and each was marked by vocal public dissent. However, the city used the meetings to educate residents, explaining that they would not be charged for recycled and composted materials left at the curb, but they would be charged for trash that required disposal. After adopting a PAYT program in 1991, the Dover City Council formed a Citizen’s Solid Waste Advisory Committee, which allowed residents some voice in oversight of the program. Over the next eight years, the city reduced its disposal by 7,100 tons per year, and the MSW budget decreased by $322,000 since PAYT implementation. Although PAYT programs establish a rate system, Pasadena, Calif., discovered that it had to meet the needs of a special part of its population of 136,237. Following the introduction of its PAYT program, Pasadena’s elderly, fixed-income residents expressed concerns about their ability to pay for disposal. To accommodate their concerns, the city gave residents a choice of three container sizes — 32, 60 or 100 gallons — and charged for collection based on the size of the container. If residents want to change sizes, there is no charge within the first year, but it costs $35 after that. Changes made during Environmental Awareness Month every November are free. Similarly, Seattle — one of the largest and most urban PAYT cities with 563,374 residents — also developed processes within its program to address its special-needs populations, including low-income and elderly residents. In some cases, the success of a PAYT program can cause problems. In Austin, Texas, for example, the city implemented a multi-can system with the consumer price based on the size of the cart. The city, however, was not prepared for the number of residents who would select the smallest can immediately. “Right off the bat, we went $2,100 in the hole because of all the people who were going to do the ‘right thing’ and picked the smaller 30-gallon carts. 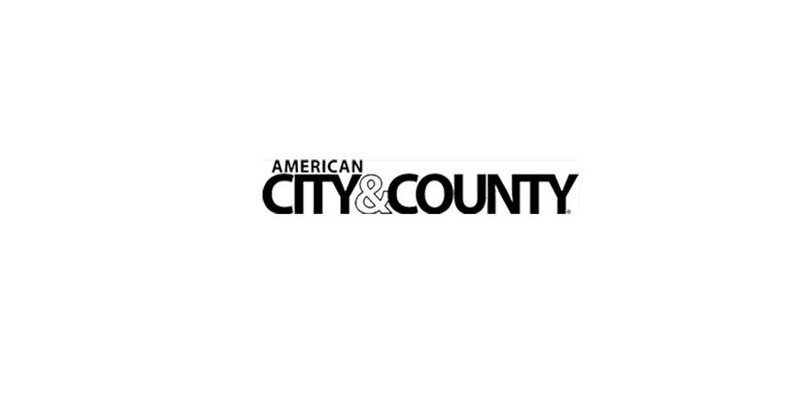 In other words, be prepared for your program to become successful,” says Austin’s Jamy Poth Kazanoff, the city’s former public information and marketing manager. To manage the initial misreading of the public’s enthusiasm, Austin allowed customers to exchange their cart once for free but then charged $15 for any subsequent exchange. That fee helps offset the cost of exchanging carts and keeps Austin’s PAYT program operating smoothly. Between October 1999 and September 2000, Austin diverted 28.5 percent of its waste from the landfill, compared with 9.8 percent in 1991. While the conversion to PAYT may be a radical shift in the way most communities address MSW, the efforts clearly pay dividends. As some 6,000 communities across the United States have proven, PAYT is not only an environmental solution that promotes source reduction and increased recycling rates, but it also is an economic one. By providing an equitable accounting of costs versus services provided, municipalities can make residents more conscious of their waste disposal behaviors, which can lead to savings for both residents and municipalities. Janice Canterbury is the PAYT project manager at the Washington, D.C.-based U.S. Environmental Protection Agency. Ryan Newill is a technical communications specialist with Arlington, Va.-based ERG. Increased recycling rate from 7 percent to 35 percent one year after implementing PAYT in 1992. Increased recycling rate from 9.8 percent to 28.5 percent between 1991 and 2000. Reduced waste by 40 million pounds from 1992 to 1999. Reduced waste by 7,100 tons each year from 1991 to 1999, achieved a 50 percent recycling rate, and saved $322,000 annually. After beginning a PAYT program in 1992, the city immediately increased its recycling rate by more than 50 percent to 21 percent; trash disposal volumes decreased by about 35 percent; and it saved $88,000. In 1996, the city increased its recycling rate to 79 percent participation in single-family and duplex households — up from 53.5 percent in 1995. In 1994, the first year of the city’s program, solid waste collected decreased by 18 percent from 1993, recyclables collected increased by 25 percent, and the city saved $186,000. Solid waste collected decreased by 40 percent from 1990 to 1995. Recyclables and yard trimmings collected increased by 50 percent between 1993 and 1994, and residents reported a 90 percent satisfaction rate in 1996. Recycling rates consistently reach 40 to 60 percent; families now save $40 per year on trash. Exceeded 50 percent recycling goal by the end of 1995.